Belfast International Airport Car Hire for cheap car rental from the following rent a car companies. Hertz, Avis, Budget, National, Europcar. 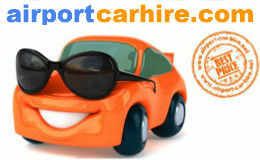 Wide range of hire car to choose from including Ford, Opel, Fiat Toyota and luxury cars BMW and Mercedes. 7 seat mini vans are alos for rent at Belfast International Airport. 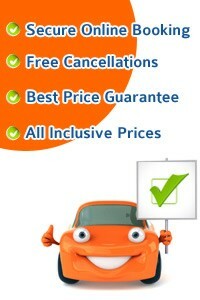 For the cheapest car hire in Belfast pre book your car online at save up to 50%. 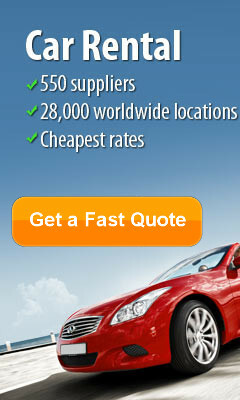 Take this opportunity to get the best car rental deals in Belfast International... CHEAPER. 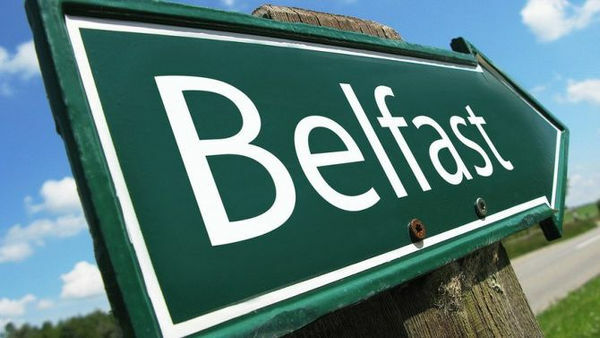 Belfast International Airport is located 29km from Belfast centre, 20 minute drive, easily accessible with good road network and motorway access. Whether you are renting a car at Belfast Airport or downtown in Belfast City be sure and pick up a Belfast Visitor Pass. This Pass gives you discounted access to some of Belfast's Largest Attractions and Sights such as Belfast Castle, Belfast Waterfront, Ulster Folk and Transport Museum, Belfast Zoo, Belfast's City Bus Tours, the Titanic Dock and Pump House and more. Belfast Botanic Gardens, is wonderful to explore and a fine example of Belfast's old Victorian history. Looking for a night out enjoy some performances at the Grand Opera House in Belfast City, or Kings Hall or the wonderful Waterfront Hall. Using your Rent A Car from Belfast Airport you can drive around the great coast of County Antrim and take in some of Northern Irelands spectacular sights such as natures incredible, Giants Causeway, Dunluce Castle perched high above the sea, stunning, and the breathtaking view of Carrick-A-Rede Rope Bridge. The Old Bushmills Distillery displays the old workings of the distillery of the famous Bushmills. Stop off in the beautiful villages also of Portrush and Portsteward and take in some sea air. The Park Avenue Hotel, 158 Holywood Rd, BT4 1PB Belfast The stylish, friendly and popular Park Avenue Hotel in the Belmont area of Belfast is 10 minutes from the city centre and close to Belfast City Airport. All rooms have free Wi-Fi, air conditioning, a flat-screen digital TV and a bright and chic decor. With its excellent air, road and rail links, The Park Avenue Hotel is near the Odyssey Arena, W5 and Belfast's Waterfront Hall. It is ideal for conferences and has ample free parking. Park Inn Belfast by Radisson, 4 Clarence Street West, BT2 7GP Belfast In the heart of Belfast city centre, Park Inn Belfast is close to the Golden Mile and the bars, restaurants, cafés and shops. Castle Court Shopping Centre is a 10-minute walk away. Park Inn Belfast offers bright, modern rooms, each with a large flat-screen TV and tea/coffee facilities. The marble bathrooms all have an extra large shower head. This Park Inn also has an “Inn Action Gym”, a sauna and steam room, 24-hour reception, and a fantastic Red Bar & Grill restaurant. There are also 7 flexible meeting and event rooms. Park Inn Belfast is close to all main transport links, including Victoria bus and train stations and Central Station. Sightseeing tour buses are also nearby. Dukes At Queens, 65-67 University Street, Belfast, BT7 1HL Belfast In the heart of Belfast, this luxurious 4-star hotel offers free parking, free internet access, great food and stylish, contemporary, air-conditioned rooms with 37-inch (94 cm) LCD TVs and iPod docking stations. Formerly the Dukes Hotel, Dukes at Queens has now been stylishly transformed and reopened as a boutique hotel, rich in contemporary style and modern sophistication. The sleek and luxurious rooms have individually controlled air conditioning, tea/coffee making facilities, satellite TV, free wired internet access and laptop safes. Radisson Blu Hotel Belfast, 3 Cromac Place, Ormeau Road, BT7 2JB Belfast In Belfast’s vibrant Gasworks district, the 4-star Radisson Blu Hotel Belfast features a stylish restaurant and cocktail bar. The spacious rooms offer free internet and air conditioning. The elegant Nordic-style rooms are decorated in cool tones, and each features a TV with on-demand movies. All rooms have a minibar, work desk and a private modern bathroom with a hairdryer. Overlooking the Gasworks fountains, Filini Restaurant serves an authentic Italian menu and traditional breakfasts. Guests can enjoy light meals and fine wines in the contemporary bar. Just a 10-minute walk from Belfast city centre, Radisson Blu Hotel is a 15-minute drive from Belfast Castle. Private on-site parking is available, and the Odyssey Arena is just over a mile away. Parking is free of charge for stays between Friday and Sunday.